With its elegantly arching flower spikes and beautifully round jade green foliage, 'Fancy Pearl' is an exceptional clone of this easy growing Phalaenopsis species. 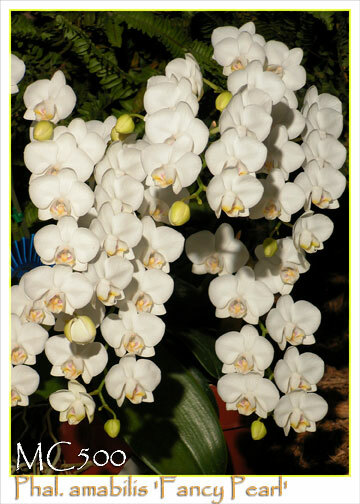 When fully mature, it can produce multiple cascading sprays of pristine white flowers, creating a dramatic waterfall display that stands on its own. Highly recommended !